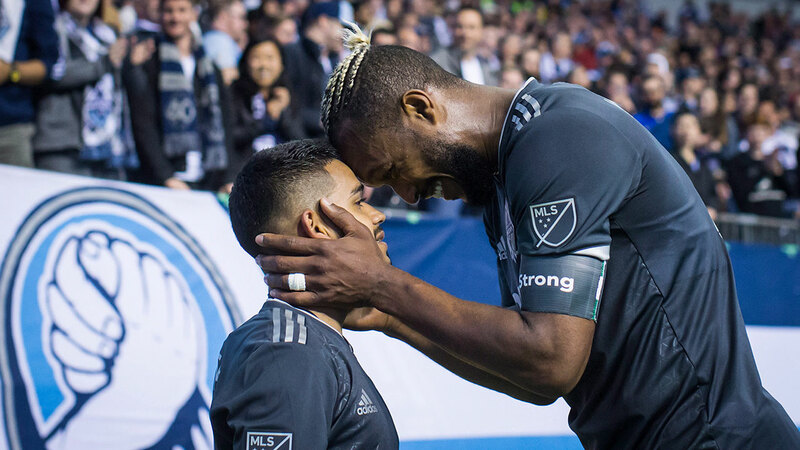 VANCOUVER – Defender Kendall Waston scored late in injury time as the Vancouver Whitecaps twice battled back from a goal down for a 2-2 draw with the Houston Dynamo in Major League Soccer Friday night. Waston’s goal came four minutes into extra time. With the Whitecaps desperately searching for the equalizer, midfielder Felipe sent a long ball toward the goal. Striker Kei Kamara headed the ball toward the net. The six-foot-five Watson leaped into the air and headed it into the goal. Jose Aja had tied the game 1-1 in the first half with his first MLS goal. Aja came close to scoring a second goal late in the game when a header hit the side of the goal. Mauro Manotas scored in the 90th minute to give the Dynamo a 2-1 lead. The Dynamo had survived several Vancouver scoring chances. With time ticking off the clock, Arturo Alvarez took a shot that was blocked, but Manotas controlled the rebound and fired it into the Whitecaps goal. Forward Tomas Martinez also scored for Houston (3-3-1) who haven’t won on the road this season (0-1-3) and are winless in their last 10 regular season away games (0-3-7). The Dynamo have never won in Vancouver (0-6-2).